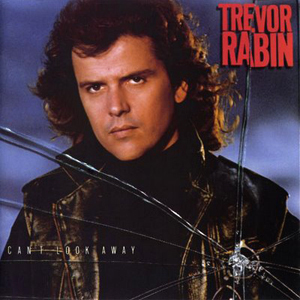 This is former Yes guitarist, Trevor Rabin, and his third studio album. I always thought Trevor was an unusual name for a rock star, but Mr Rabin pulls the image off quite well. This is from the time of big hair, stadiums and leather. Can’t Look Away fills the gap between Yes’ Big Generator and Union albums and it is perfectly clear that Rabin was the musical genius behind the period of Yes’ success between 90125 and Talk. Rabin’s own unique style on this album echo that of his time with Yes. I was always concerned as a child that the availability of some music in HMV was lacking. It wasn’t until the arrival of the internet and illegal downloads that I realised how much music I’d missed out on despite regular visits to my local HMV and Virgin Megastores. It also made me realise how much music didn’t reach me because of licensing issues and the lack of ability to research such output. This album is a prime example of that issue. It wasn’t until nearly 20 years later that I knew this album even existed. Rabin does a good job with this album. Even Yes’ drummer, Alan White, plays on a couple of tracks. It’s a product of its time and reminiscent of the likes of Queensryche and other big hair bands of the time. Rabin said that this was possibly the album of his works that he was most pleased with. It seems that a great deal of America agreed, as the third track reached number 3 in the Billboard charts. That’s a lot of threes.